"This is right up my alley. I love real-time, I love cooperative, I love dice rolling. 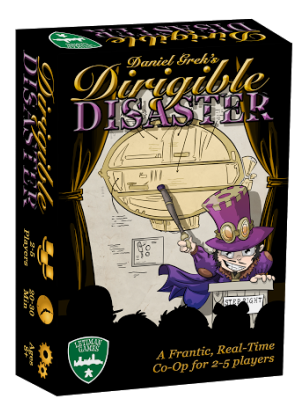 So for me, Dirigible Disaster is a great game that you should check out...This is definitely a great gateway too." Dirigible Disaster is a cooperative board game in which players work together to keep an airship, the Aerclanken, in the air for its entire 10 minute maiden voyage. This is accomplished by repairing or dealing with various issues that occur on the ship as the game progresses, such as steam leaks, fires, and broken cogs. 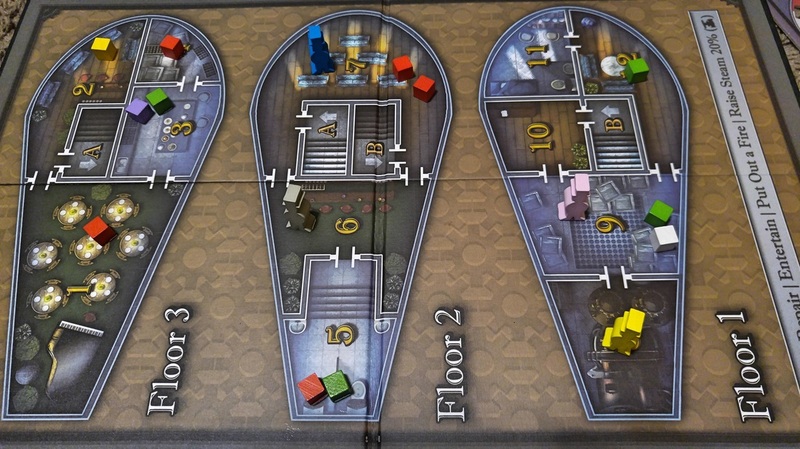 The game consists of 10 rounds that each last for one real-time minute. 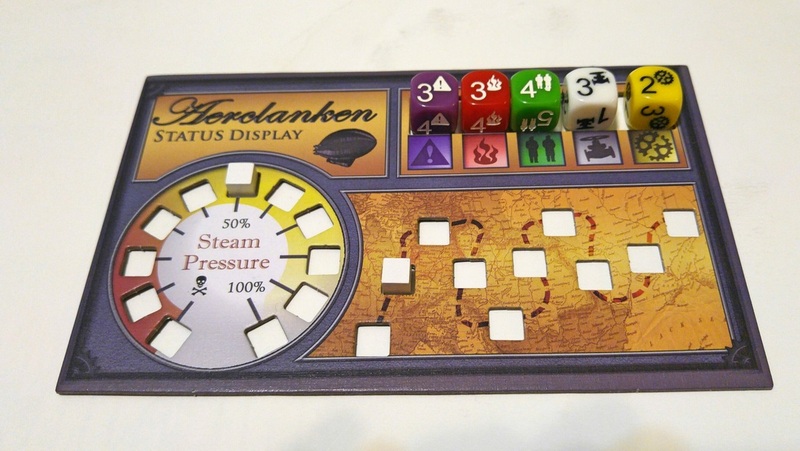 Before each minute begins, a set of problems arise on the board and it is up to the players to work together to handle as many of the problems as possible during each one-minute round. 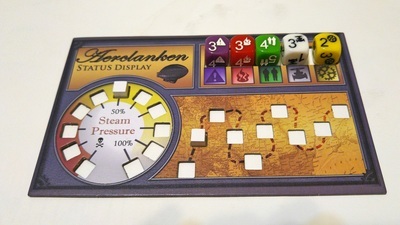 At the end of the ten rounds, the players win the game only if they were able to avoid meeting any of the failure criteria and keep the Aerclanken afloat for its entire voyage. 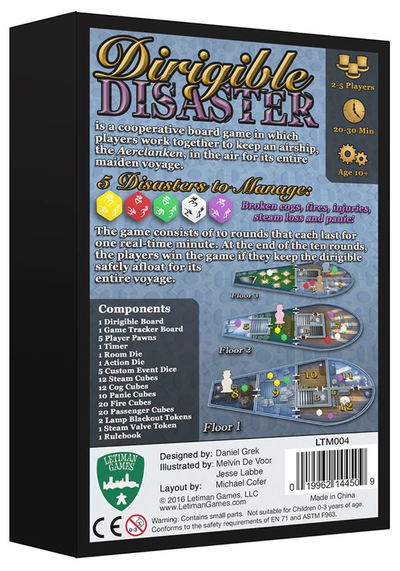 1 Min - Use during real-time rounds in a standard 3-5 player game. 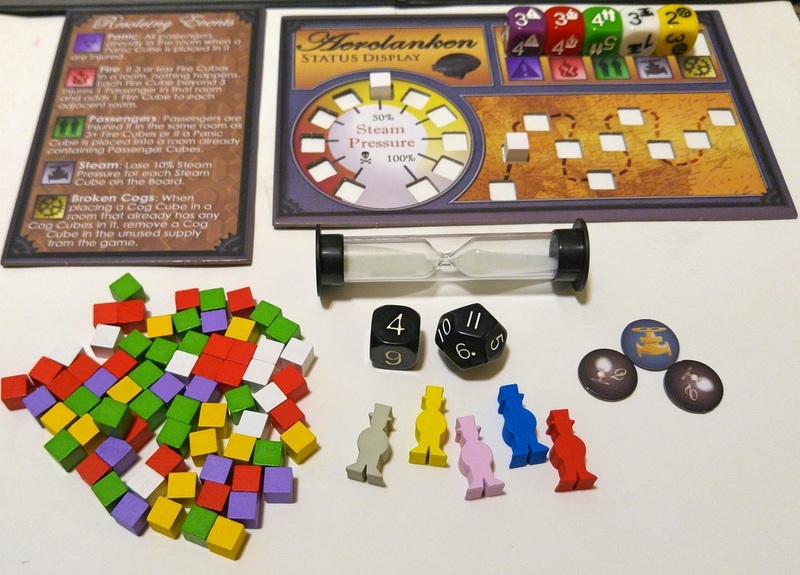 45 sec - Use during the real-time rounds in a standard 2 player game. Interview with Go Forth and Game - Down in Flames! Video of a sample real-time round to give you an example of how frantic it can be! *The real-time round starts at about 20 seconds in.